EDITOR’S NOTE: IMPACT! 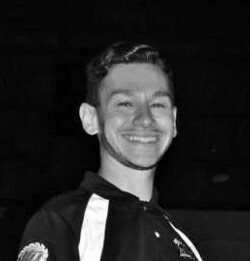 Wrestling referee Kris Levin makes his debut this week as a contributing writer to our staff. The 10-year industry veteran will add his thoughts on trends and topics, as well as his own experiences in pro wrestling, in this bi-weekly series, TALES FROM THE MAT. 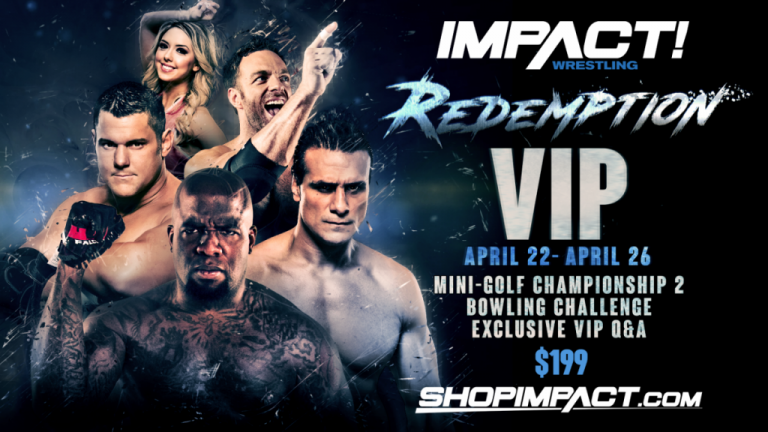 Kris will also be appearing this Sunday, April 22, 2018, in Orlando, Florida, at Impact Wrestling’s Redemption 2018 pay per view. When I entered Saint Finbar Church on August 19th, 2016, I had no intentions of having a showdown with the New York State Athletic Commission. For me, that stiflingly humid, late summer day in Brooklyn was never meant to be anything other than business as usual. Just another day at the office doing what I love: refereeing professional wrestling. That is, until the New York State Athletic Commission decided to get unjustly involved. In the weeks and months leading up to the night of the incident, certain state inspectors, namely Mr. Robert Orlando (who, at the time, was Deputy Commissioner of the New York State Athletic Commission) and Ms. Dorothea Perry, had developed a reputation for becoming increasingly aggressive, to the point of intrusive, in how they handled the enforcement of SAC regulations in regards to professional wrestling. This included shutting down several matches and even entire events with legally questionable justifications over the most minor infraction. Touch the guardrail? Match over. Show goes a hair past eleven? That’s a wrap. Conveniently, that last one did not seem to affect certain companies whose events typically end at 11:05PM or whereabouts, but I digress. Plain and simple, it was no secret that the inspectors in question – along with the majority of the upper bureaucracy within the New York State Athletic Commission – considered professional wrestling the black sheep of the sports that fell under their department’s legislative umbrella. On the night in question, the state inspectors (typically only one inspector, if even, is assigned to an event – in this case, Ms. Perry. I assume Mr. Orlando decided to attend alongside her solely because he was looking forward to a fun night at the matches) had been given advance notice of what the scheduled event would entail, something I personally assisted with. Several hours in advance of the opening bell, I briefly discussed the contents of the card with them and one of them even took a picture of it on their cell phone. They studied the card with me and had supplemental time afterwards to continue doing so. In short, they were fully aware of what would be happening that night and, at the time, had not one word to say in protest against it. One of the matches that night was an intergender bout between a man and a woman, something that is not uncommon within this industry, especially at an independent level. My girlfriend, Bonesaw Jessie Brooks, was taking on Marc Hauss, a friend of ours and a man of great integrity and professionalism; it was a bout all three of us, not to mention the fans, were looking forward to since it was first publicly announced over a week prior on August 11th. Up until the match in question, the event consisted of the standard fare that we have all come to expect within a professional wrestling event. Caution was certainly heightened, given the presence of the SAC, but, otherwise, business was running as usual (or at least as far as the definition of “usual” can be stretched within the confines of professional wrestling, but, again, I digress). So I did the only thing I could do at the time: I picked up a microphone. Knowing Jess is a woman of few words, I looked at Marc and quickly asked, “are you doing this or am I?” Marc gave me an encouraging nod, and off I went. Now at this point, before I continue this story, two things must be said. The first is in regards to the concept of intergender wrestling. In light of the fact that this tale involves that often controversial genre of this industry, it goes without saying that professional wrestling is not really a competitive sport in the strictest definition of the word. A professional wrestling bout between a man and a woman is, at its core, no different than what would occur in any dramatic offering, be it in a wrestling ring, on-stage, in a movie, or a television show: a group of professionals are working together to present a choreographed story which contains simulated violence for the sake of dramatic narrative. Concepts of fairness and sportsmanship are moot points. Additionally, discussions abound about how intergender wrestling affects the appearance of legitimacy that professional wrestling strives for. However, that is not within the purview of this discussion and whether you, the reader, is a fan or not of intergender wrestling is also immaterial. This is about consenting adults being told how they can or cannot express their Constitutionally guaranteed First Amendment right of freedom of speech based solely on their gender. That was an act of discrimination and something that deeply unsettled me. The second aspect worth providing is a brief background context on is why I reacted as I did. In the immediate aftermath of our public confrontation some, including Mr. Orlando, attempted to paint my reaction as solely owing to the fact that, at the time, Jessyka and I lived together and were involved in a long-term relationship (as we are still to this day). However, that does not even come close to providing the full measure of the backstory. This is not the time for my own story, but certain elements are key to fully understanding my mindset at the time. Entering the wrestling business as a socially awkward, timid, undersized fifteen year old, I was acutely aware of the destructive effects of bullying. This created within me a deep empathy for anyone who faced discriminatory practices based on something they could not control, particularly the plight faced by women in this world. Even more particularly, that faced by dedicated women wrestlers. Too often I saw sexual harassment, from fans, promoters, and wrestlers alike, and career advancement based not on ability, dedication, and performance, but how far one would go to sexually exploit themselves. I am not judging anyone who decides to go the route of sexual exploitation, mind you, but I do lament that for so long, it was absolutely necessary for meaningful career advancement. More often than not, those who were uncomfortable with that were left to the footnotes of history. Again, I digress. This strong spirit of feminism led me, along with Jess and a handful of others, to run New York City’s first-ever all women’s wrestling event since women’s wrestling had been legalized within the state back in 1972. Promoting VALKYRIE Womens Wrestling led to me developing an intimate understanding of many things within this business, but most pertinent to this tale was my understanding of the rules and regulations on professional wrestling as set by the New York State Athletic Commission. And, suffice to say, nowhere within that tomb of “Boxing and Wrestling” guidelines did it state that a man and woman could not perform with one another within the confines of a professional wrestling ring. They were citing a non-existent rule. The fans were confused, disappointed. Marc was at a loss. Jess and I were outraged. So, I did the only thing I could think of: for the first time in my life, I picked up the microphone, unscripted, and said my piece. Now, it goes without saying, in the world of professional wrestling, using the microphone without the consent of the promoter is generally a no-no. Especially if you are a background or auxiliary character, such as I am, being an official. However, the moment that the inspectors from the SAC attempted an act of state-sponsored sexism and gender discrimination, this became bigger than the confines of professional wrestling. This moral play transcended me and my career, consequences and repercussions be damned. This became a matter of right and wrong and something inside of me was stirred to do something about it. Following this, we went backstage in an attempt to informally arbitrate the issue. I was immediately told by Mr. Orlando that I was to be suspended from the state of New York for my expression of free speech. Mind you, that is despite the fact that the State Athletic Commission does not have the authority or legal jurisdiction to do such as thing, as a license is not required for performers in the state of New York and had not been so for well over a decade – let alone he was handing out such a judgment without proper due process. I imagine he knew this and was just attempting to shut me up, but following the rest of the exchange, I no longer make the mistake of assuming that these people had even the faintest idea of how to do their jobs. While deliberating backstage, Mr. Orlando professed to have never witnessed or even heard of intergender wrestling before, despite it occurring regularly in New York City, including on events he has previously personally inspected. After a half hour of searching for the exact provision that stated intergender wrestling was unlawful in the state of New York, they presented a statute in the book of “Boxing and Wrestling” guidelines that states female boxers could not compete against male boxers. This, they cited, was the lawful justification for the stoppage. Jess and I pointed out the fact that this was a wrestling event, not a boxing event, as the book specifically indicated the rule applied towards boxing, but that fell on deaf ears. Neither Mr. Orlando nor Ms. Perry could provide a suitable explanation for why the rule was specifically written to reference boxing, since allegedly it was in reference to both. Regardless, Marc, Jess, and I did not allow the issue to be dropped. The New York State Athletic inspectors called their superiors, who called their superiors, who called their lawyers to deliberate on the matter. It occurred to me that a friend of mine who happened to be a lawyer was in attendance. I felt if they were speaking to a lawyer, I should as well. I asked my friend to accompany me backstage, where I could ask her the legality of what they were claiming. Upon discovering that she was a lawyer, Ms. Perry immediately left. Mr. Orlando stated that my friend was not allowed to be backstage. I asked him if he had the authority to make that decision, given that he was solely an inspector and this was in no way his show. He responded in the affirmative. I called his bluff and, in response, he decided to leave instead. My lawyer friend informed me that there are legal constructs – basically, from my understanding, it speaks to what is written in the law as opposed to how they choose to interpret it by adding in additional details made up on the spot to suit their agendas. It was not until my friend left that Mr. Orlando returned. I calmly asked him if he could clarify some specifics regarding this issue. He refused to speak to me. I responded that as a taxpayer and as a human being the least he could do as a government official was explain to me these laws and statutes he was enforcing. He refused. He then said he would only speak to the promoter of the event. He walked into a side hallway to speak with him. I said that I was going to accompany them in order to bear witness to this conversation. As I approached the entrance Mr. Orlando said I was not allowed to participate in it. I asked him if he had the legal authority to do that. He said yes, before shutting the door against me – physically shoving me out. Textbook legal definition of unlawful battery. 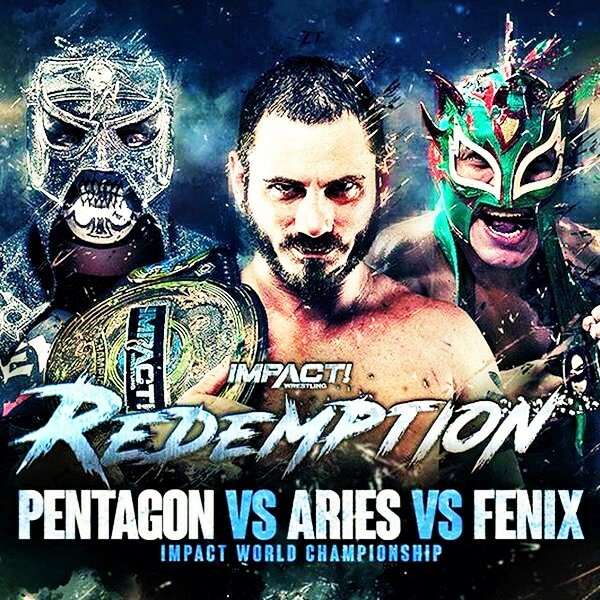 After the inspectors conversed with the promoter and their higher-ups it was decided, with the looming threat of legal action, that there were in fact no legal grounds to stop the match. The match was to be held as the main event of the evening. After the higher-ups at SAC begrudgingly relented, Jess and Marc went on to have an incredible, emotionally-driven bout that ended with Jess victorious and receiving a well-earned showing of respect not only from the crowd, but every performer in the back, as well. Following the match, Mr. Orlando allegedly told the promoter that he wanted me fired from his company and, after being told “no,” Mr. Orlando then allegedly stated he was going to write-up both myself and the promotion for “publicly disrespecting an official.” Why he felt I have no right to free speech, I am unsure. Why he felt he is exempt from criticism in the face of a humiliating unprofessional error on his end, I am unsure. He also stated that part of his reasoning for writing me up was because “the only reason he spoke his mind was because she’s his girlfriend.” While I applaud Mr. Orlando’s psychic prowess, I question his accuracy. I have a long track record of supporting women wrestlers and women’s wrestling. The fact that Jess was the one in the ring when this happened was mere happenstance. I would speak boldly and proudly for this issue regardless of who was targeted. The story earned a handful of press nationwide, including a response from the New York Athletic Commission that they would “better train their inspectors” moving forward. I have not seen Mr. Orlando or Ms. Perry in person since the incident. Certain sources within the Commission have privately expressed to me that, after bringing so much embarrassment to the SAC, they were barred from attending events that I was to be at. So why did they do it? I will not do as they did to me and make assumptions and claims on their behalf. However, I will share my own, personal theory. This match was publicly announced over a week prior, on August 11th. The run sheet of the night’s scheduled matches was posted in the locker room in the afternoon. It was studied and photographed by the inspectors upon their arrival, several hours before the event began. It is in my opinion that the fact that any issues regarding this match were not brought up in the days leading up to the event or on show day prior to the event starting speaks to rather a gross ineptitude on the part of the inspectors or that they were deliberately making this a public display of their abuse of power. Those same individuals within the SAC expressed to me the belief that these inspectors were likely handling wrestling with such severity due to political motivations of career advancement in mind. Allegedly, of course. In any rate, I believe Mr. Orlando knowingly misrepresented the extent of his legal power in an attempt to subdue and intimidate me. I believe Mr. Orlando and Ms. Perry showed their lack of professionalism in failing to privately discuss the matter prior to the event and in their rashness of publicly enacting and enforcing a statute that proved to be nonexistent. By the way, those write-ups they kept threatening proved to be, like their earlier claims, non-existent. Fans and industry insiders alike have asked me numerous times: was it a work? It would be well done if so, but unfortunately, no. The truth is much sadder. This was no preplanned story arch, included to add drama to the evening’s entertainment. Jess and I have turned down many offers by promoters to reenact or to make an angle out of what happened, but we have always politely declined. All is fair in love and wrestling, as the old axiom goes, but what happened that night eclipsed both. That night was about right and wrong. It was about not allowing the evil discriminatory practices of sexism to prevail. To dramatize that for a storyline would only serve to cheapen its meaning.